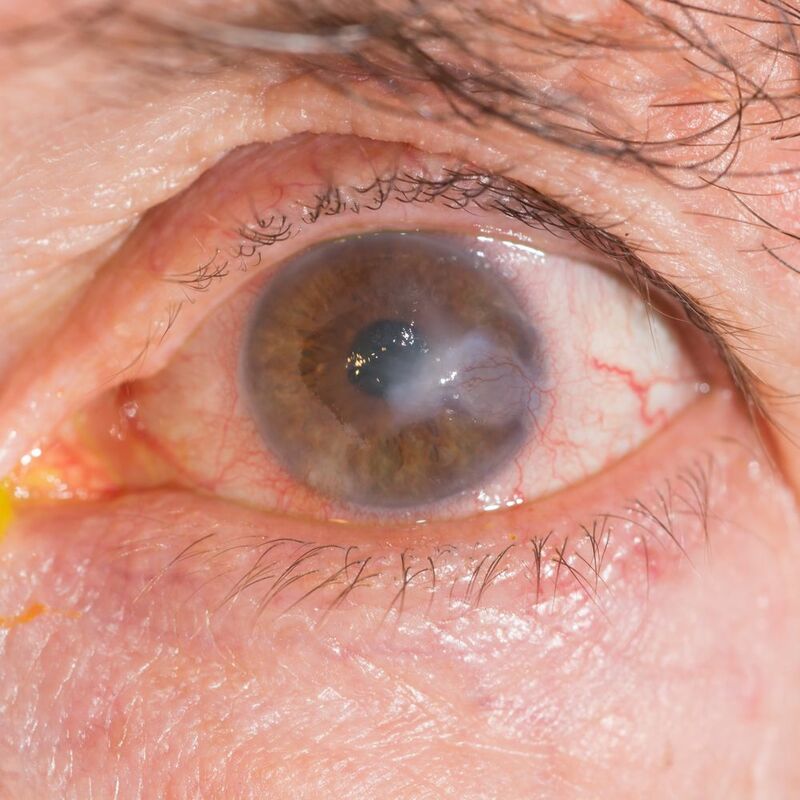 Cataracts and Glaucoma: What Is the Connection? Here at Byrd Eye Clinic, we offer the people of Detroit the information they need to see the world clearly and experience excellent vision for years to come. Many of our older patients experience issues with cataracts and glaucoma, which can both lead to vision loss. Our practice offers cataract treatment as well as procedures to manage and control glaucoma. Many patients don't have a good understanding of the similarities and differences between cataracts and glaucoma. Let's cover some of the basics of both these vision problems and then note some important matters when it comes to their treatment. A cataract is a the clouding of the naturally clear lens of the eye. It may occur as a result of the natural aging process or through physical trauma to the eye. When a cataract develops, it leads to poor vision. If allowed to progress, it can lead to vision loss. Glaucoma is a type of vision problem caused by increased pressure within a person's eye. This intraocular pressure causes damage to the optic nerve, resulting in vision loss. The condition gets worse with age given the long-term damage done to the optic nerve. How Are Cataracts and Glaucoma Similar? Both cataracts and glaucoma are often associated with the natural aging process. Cataracts tend to occur in people who are of advanced age, and glaucoma is often diagnosed in people who are senior citizens or older. Both cataracts and glaucoma result in vision loss, albeit different kinds of vision loss. Proper treatment can help address the rate of vision loss in both conditions, but there are important differences to note. How Are Cataract and Glaucoma Different? Apart from the type of vision loss that occurs, cataracts and glaucoma differ in a significant way. Simply stated, cataracts are treatable and curable while glaucoma is not curable. Cataract surgery can be performed to replace the cloudy lens of the eye. An artificial lens can be implanted or corrective lenses may be used to restore vision quality. With glaucoma, medication and advanced medical and surgical intervention can help slow down the rate of vision loss, but the condition itself cannot be cured and any lost vision cannot be restored. Can Cataract Surgery Lead to Glaucoma? Cataract surgery can help restore a person's vision, though following surgery, a patient may experience a spike in the intraocular pressure. In general, these spikes in eye pressure are only temporary. If necessary, these issues can be treated with the use of medications. It is unlikely that these post-op pressure spikes will cause significant optic nerve damage or result in glaucoma, though it's important that these matters be addressed should patients or doctors notice an issue. Can Glaucoma Treatment Impact Cataract Treatment? If a person is developing a cataract and also suffers from glaucoma, the medications taken to manage glaucoma can lead to issues with overall vision quality. Glare may increase while using certain glaucoma drugs, and overall vision quality may decrease in the process. Which Condition Should Be Treated First? If a person suffers from both glaucoma and cataracts, the priority will be management of the person's glaucoma. Since glaucoma cannot be cured and the vision loss is reversible, it's important that it be dealt with. Cataract surgery is not immediately necessary, and with proper management and care, patients may only suffer from mild cataracts. If a patient with glaucoma suffers from an advanced cataract, special considerations will need to be made with regard to cataract surgery. Eye care specialists will need to consider if the spike in eye pressure will make the existing issues with glaucoma worse. For more information about cataracts and glaucoma, we encourage you to contact an experienced eye care and vision specialist today. The team at Byrd Eye Clinic is here to help you experience great vision and improved quality of life in the process.